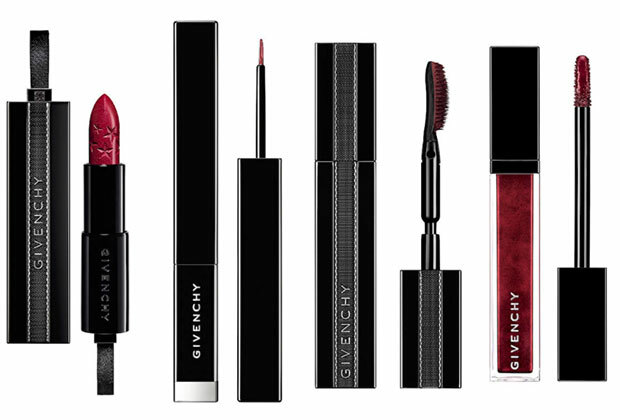 Nicolas Degennes, artistic director at Givenchy Makeup is one of the most innovative makeup creators on the planet. I interviewed him years ago when he made a quick visit to Canada and he was a bundle of energy and enthusiasm. He was constantly writing himself notes of ideas for future collections and products. 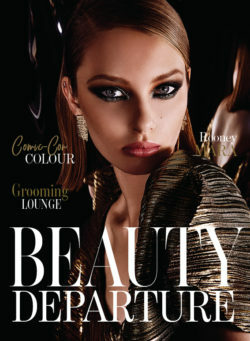 “The beauty industry is travelling at such a speed today,” he told me. 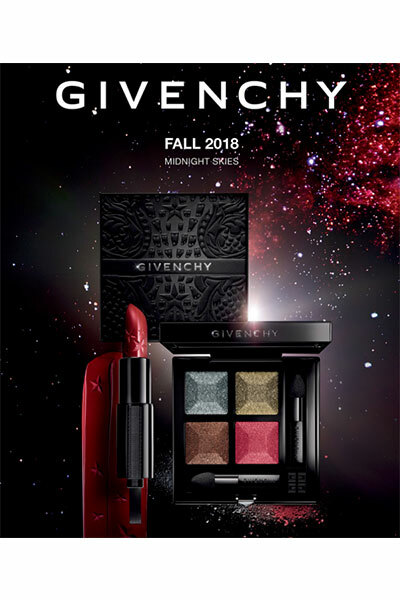 “So we must create exciting formulas and collections at a much faster pace.” He’s clearly done that with his Fall 2018 Midnight Skies Collection. The Midnight Skies Sparkling Prisme Quator Intense & Radiant Eyeshadow palette features bold, elegant shades that play matte textures against sparkles, vibrant pigment against modern neutrals. The colour stays true throughout the day. And the four shades are meant to be worn alone or in combination: silver-gray, olive green, brown and ruby. Apply two shades for a natural and contrasting day eye makeup. Apply three shades for a natural smoky look. 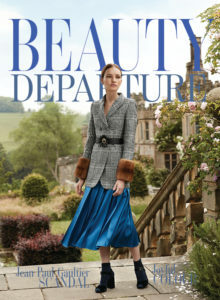 Or use all four for a sophisticated evening look. The palette comes housed in a black leather case. 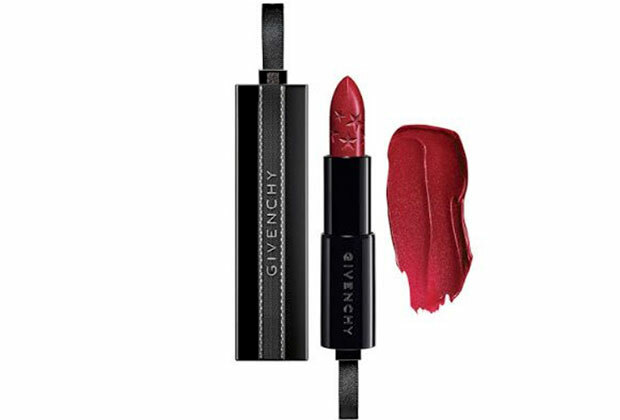 Formulated with a rare black rose oil, this satin texture blue-red lipstick makes a statement with stars embossed on the bullet. It’s called “Red Night” and is a rich burgundy red. 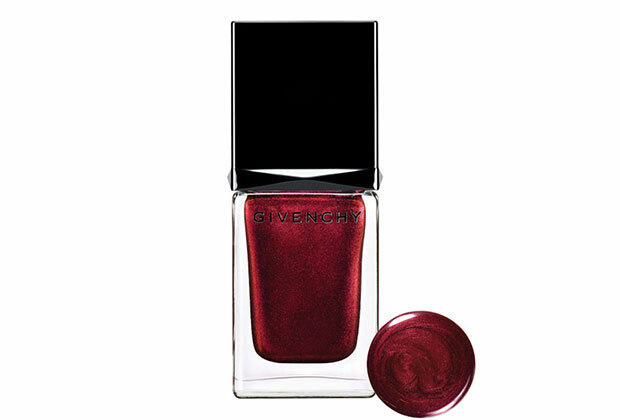 What makes this classic red burgundy nail lacquer special is a hint of black pearl in the formula. It gives a subtle sparkle that adds interest to any nail look. 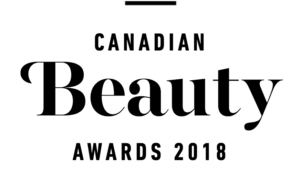 Premium waxes, black rose essential oil and mother-of-pearl make for a prestige mascara in a rich burgundy hue for the holidays. The mascara wand can actually be bent 90 degrees to make precise application much easier. 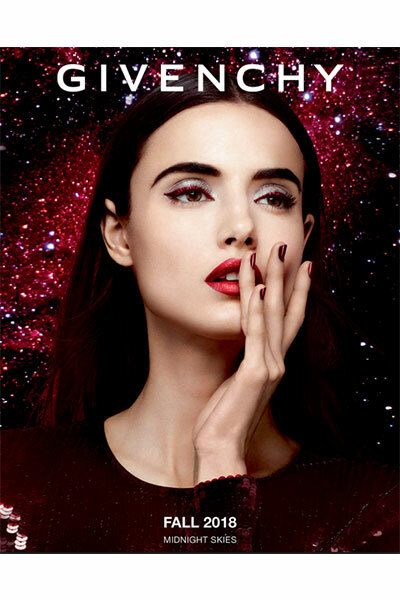 This sleek liquid liner adds an accent of burgundy to the eyes. 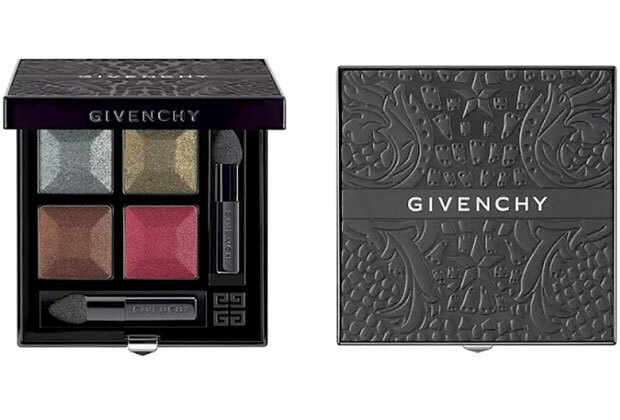 Givenchy makeup is available in Canada at select Holt Renfrew stores. Absolutely stunning! Vibrant so deep! Thank you ???? Such beautiful vibrant colors for the fall collection.